Hey hey hey! I'm back with another Winc Wine review for the August wines that I got. 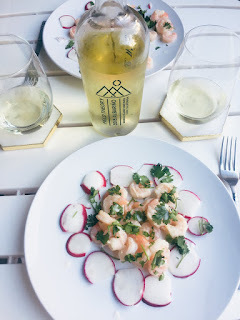 If you have no idea what Winc is, here's a post of my full review over Winc. 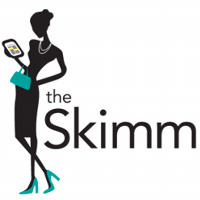 The TL;DR is that it's a subscription box where you get 4 bottles of wine each month. Since getting my first box, Ryan and I have become huge fans and tell everyone about it! 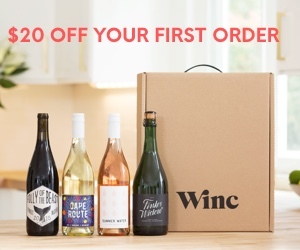 When I was picking my wine up from my apartment's mail room (update from last month, I found out that everyone in the office is over 21 so I don't have FedEx hold it anymore) the manager and I got to talking because she saw that the box said Winc. I basically sat there for like 10 minutes raving about why I love it so much. And then Ryan and I went to his cousin's wedding in Branson and we went to a winery there and the whole time Ryan was comparing the wines we were tasting with the Winc wines. And then after the winery tour he spent the whole drive telling his sister that she should sign up for Winc. The first month I just let Winc send me whatever wines they wanted. But for this month, I got so excited while I was on the Winc app rating wines that I went ahead and just picked out 4 bottles that I wanted. 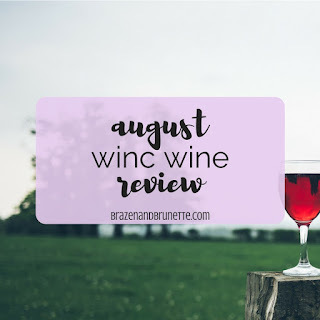 A heads up, some of the wines I chose were more expensive so this month did exceed the $30 but I thought it was worth it and loved all of the wines! One thing that I realized as I unboxed the wines is that they all matched really well so I thought that was pretty cool. One thing that I was really into this month is that this Winc Journal came with wine and ice cream pairings! And again I got an email with food pairings for each of the wines right ahead of when the wines arrived. Every time I get this email, I get so excited for all of the Wine Wednesdays to come! I'm signed up to get the Winc notifications and I got so excited adding their number to my phone that I changed the picture for the contact information to a bitmoji and now it's literally perfect hahaha. This is one of the wines that I paid extra for but it was so worth it! I lived in Spain for 5 months and the only wine choices they have are red or white. That's it. All the time I'd order the white wine and try to ask them what kind of white wine it was and the server would just tell me that it's white wine. It wasn't until I was at a local winery doing a wine testing that I tried Albariño and instantly recognized it as the wine that I was getting in Seville. So of course when I saw that Winc offered albariño I had to get it! The meal that was paired with it was scallops but both me and Ryan aren't scallops fans so I just substituted it with boiled shrimp. Another substitution that I made is that doubled the amount of radishes because after the last month we realized that we both really like these. This had a sauce that was just like the sauce from the Thai salad we had in July with our riesling and I loved it. Let me warn you about this wine though, it is strong! It's 14% and normally I can hold my wine just fine but after only two decent sized glasses I was feeling this wine. Normally between Ryan and I we will finish the bottle that night, but with this bottle we left like 1/4 of it for the next day. This actually made me really happy because a few nights later I had myself a little Spain night and finished the bottle off with some manchego cheese drizzled in olive oil. Another warning with this wine is that the cork is really long so definitely make sure you use a hand corkscrew instead of an electric one and go really slow or else you'll end up just drilling a hole into the cork and then you'll be screwed. 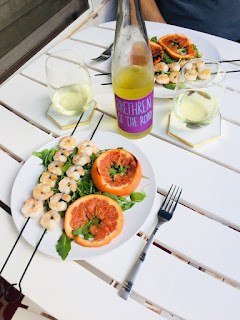 The meal that was suggested with this wine was sweet potatoes, but I hate potatoes so we definitely did not cook that. You can get the recipe here if sweet potatoes are your thing. Instead, we went to a BYOB Italian restaurant here in town and had that instead. Our waiter was complimenting us as he opened it because it's such a pretty bottle and the cork is really cool. So of course we went on and talked his ear off about how much we've loved getting the Winc wines. 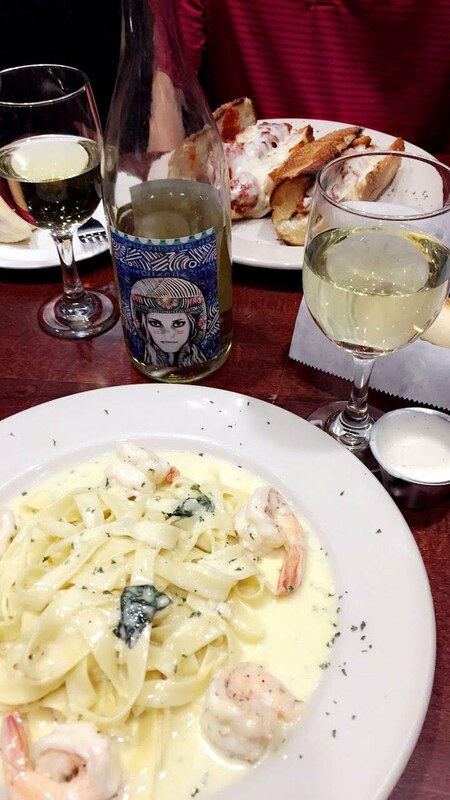 I got shrimp alfredo and Ryan got a chicken parmesan sub and we both thought the wine went great with that. But another warning, this bottle also was 14% and when we stood up after dinner we both definitely felt it. Ok so to be honest I really just got this wine because I have never heard of this wine so I was really intrigued by it. But it was my second favorite wine so far! It was really like and easy to sit and sip on. The recipe that paired with this wine was another scallop one that we replaced with shrimp. But it turned out really good! It was another fresh salad that really just reminded me that it's still summer (even though it feels like summer's over with school starting). We also used my little George Foreman since my apartment doesn't allow grills, so the grapefruit definitely cooked faster than the recipe said it would. I also learned how to juice a grapefruit thanks to this recipe so that was definitely a first. This was one of Ryan's favorite meals because the sauce tasted amazing with the shrimp. You can get the recipe here. This was another wine that I knew I'd love before I even tried it because I love my moscato! But this meal ended up being both mine and Ryan's least favorite meal that we've tried so far, but that was partly my fault. You know the chips and salsa you get at a TexMex restaurant? Yeah that salsa is too spicy for me. So when this recipe included a bunch of spicy ingredients and said to feel the BURN in all caps, I was like nope, nope, nope, nope hard pass. So I ended up cutting out half of the ingredients so that my mouth wouldn't be on fire. The end result was basically a brothy spaghetti. The broth and noodles were good but the meat was really bland. Also we had wayyy too much noodles because Ryan is a pasta-holic. To make up for my bad cooking, we decided to just finish off the bottle right then and get a little drunk. This was a good backup plan! If you can handle spicy foods, then you can get the recipe here. As you might've noticed throughout my posts over the years, I love wine. I'm talking for my senior queen night in my sorority, my twin and my little and my grandlittle all got me wine glasses or accessories! And it's become my mom's go-to stocking stuffer at Christmas 😂 Needless to say, I now have a lot of wine favorites that I thought I'd share with y'all to either get yourself or as a present idea for the Nikki in your life! First off, every wine lover could always use another set of wine glasses because it's the worst when you run out of clean glasses. You've probably noticed in the pictures that I personally prefer stemless wine glasses because they feel more chic and girly. Another one of my wine musts are silicone wine glasses because then you can take them to the pool! This set comes with silicone wine glasses and a foldable bottle bag so it's perfect to take on a picnic (which I also love). Or if you want to travel with your actual bottle, I have a wine carrier sleeve that keeps it protected and chilled that I use when I bring a bottle over to chill with my friends. Another one of my favorites that I use alllll the time is this electric wine opener. I bought this thing before my 1L year and for the first couple of days I kept it on the base plugged in on my counter, but then unplugged it and moved it to my bar shelf. It still has a charge! Plus it's just super easy and really quick and you don't have to worry about accidentally stripping a cork. But if you prefer the old-fashioned way or want a backup, this corkscrew is a great choice. I actually had to use a corkscrew on one of these bottles because the cork was too long for the electric opener. Of course you're going to want a place to display all of your corks, so I recommend this glass vase as a simple yet cute decoration to fill up. 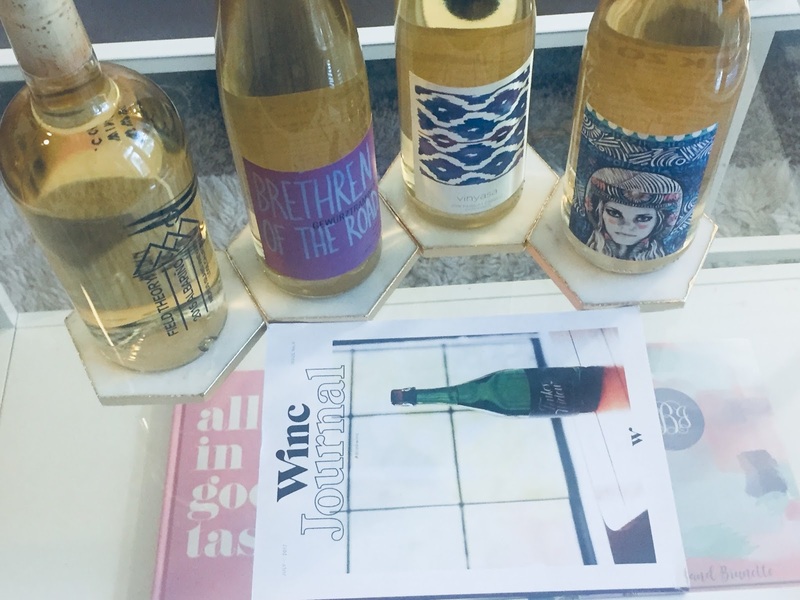 I have a bar shelf to store all four of my Winc bottles, but you could also just as easily keep them all on your kitchen counter or table with a small wine rack. Speaking of wine storage, I highly recommend these silicone wine caps. These are one of the stocking stuffers that I got and I ended up loving them since they don't make the bottle too tall to fit in my little apartment fridge. They also are better at protecting from accidental spillage if the bottle ends up on it's side. And if all else fails, this guzzle wine glass attached to the bottle and then you can turn any wine bottle into a giant-sized wine glass!